Being an athlete is important to those of us who take our sports seriously, but when you step off the field you dont want to have missing teeth and a crooked smile. 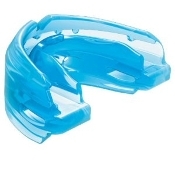 At Endzone Sports we offer mouthguards from all of the best companies to allow you to play as hard as possible without worrying about your smile. Our selection of mouthguards can be used in all sports, but as always we tailor our selection to the football community. Being protected is paramount for most players but it is also extremely important for athletes to look great. 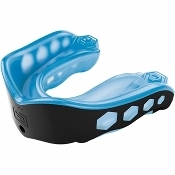 The football mouthguard has become a part of the athletes uniform. 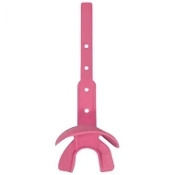 Many athletes prefer the mouthpiece with the lip guard, some athletes prefer the flavored mouthguard to allow them to enjoy the taste during competition, many athletes prefer a mean look in their smile with the mouthguard, and some players prefer the standard mouthguard wiht or with out a strap. 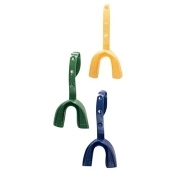 At Endzone Sports, we offer every style of mouth guard so you can find exactly what you need from our vast selection! We strive to keep athletes safe and happy which is why we have the highest quality and most comfortable mouthguards from the best brands in the industry such as Shock Doctor, Vettex, MOGO and Wilson.